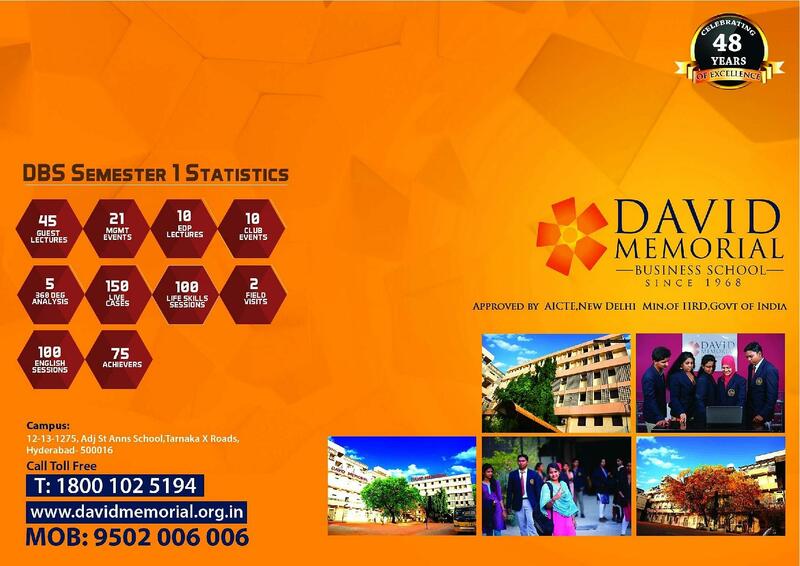 A place where you can enjoy studying and life. The infrastructure is good enough in our college. We have many computer labs and core labs are also well equipped. We can gain much knowledge and practical exposure in the labs. 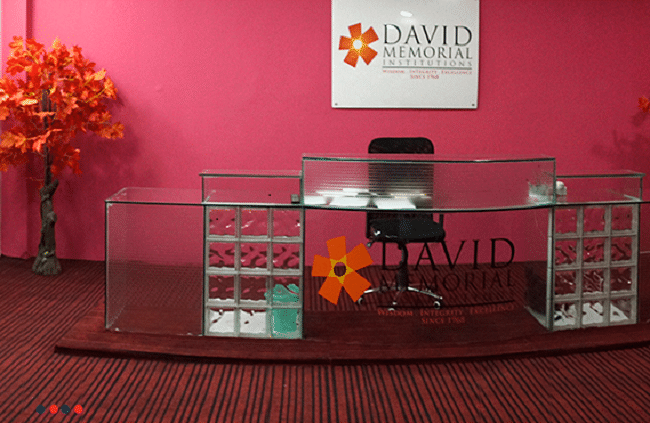 Almost all branches have good infrastructure and facilities to gain practical exposure. We have WiFi facilities in our college and the classroom atmosphere is very good. The library is good. Apart from all these, we have sports and games too. From the technology point of view, it's up to date. It's upgrading to the latest technical environment on its campus. The class is equipped with projectors for providing its students with digital lessons. College has good and bad both remarks in so many things college has good remarks like college has lovely infrastructure, teaching faculty is very supportive and helping but they also have bad remarks like food was not good in taste and some of the alumni students was very bad in nature they used to tease junior students. I am just having good remarks for this college because this college only has good things all the faculty members are very supportive and helpful to every students. Library was well structured students can take any book for their help for hostel staying students library was also open at evening time for their help. 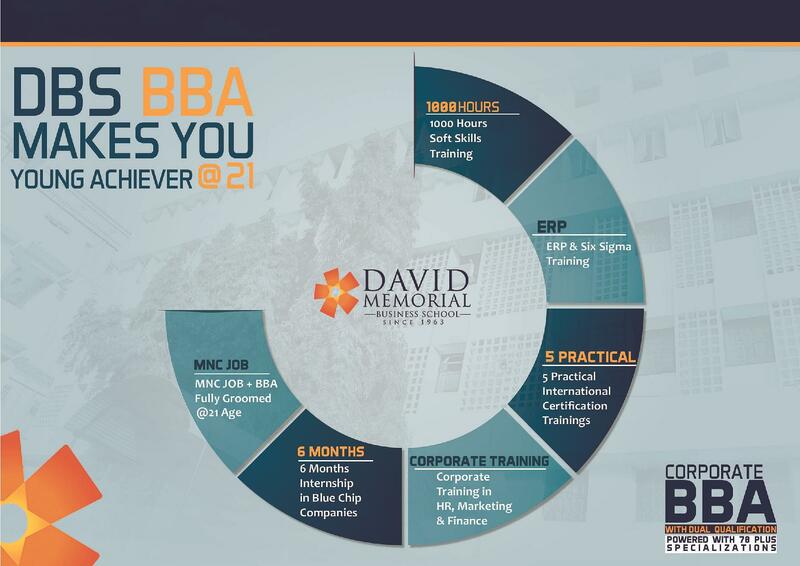 David Memorial Business School aims to be a global center of excellence in management education, grooming leaders of social and business relevance. 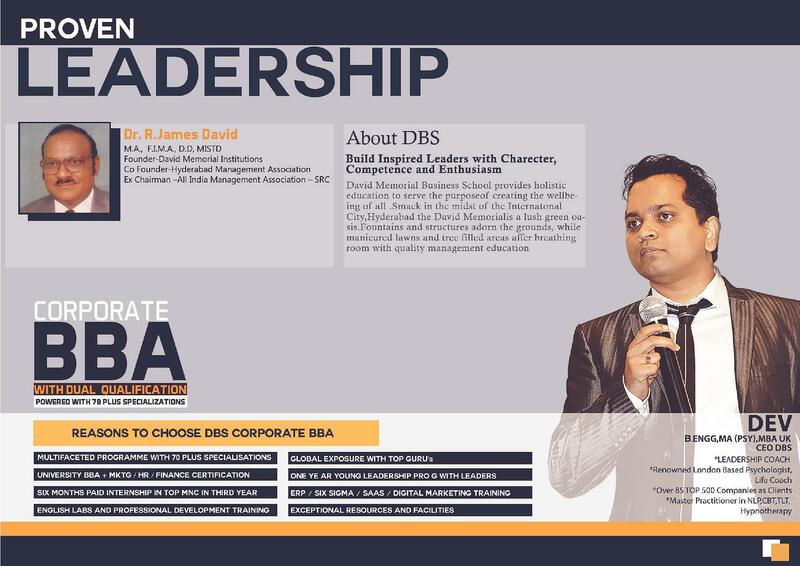 In almost two decades of existence, the college has developed a niche for its programs that focus on developing managers with a leadership orientation, a global mindset, and a sustainability sensitization. With a professional management, excellent faculty resources, academic and support infrastructure and strategic location, the college is a front–runner in providing management education with a difference. 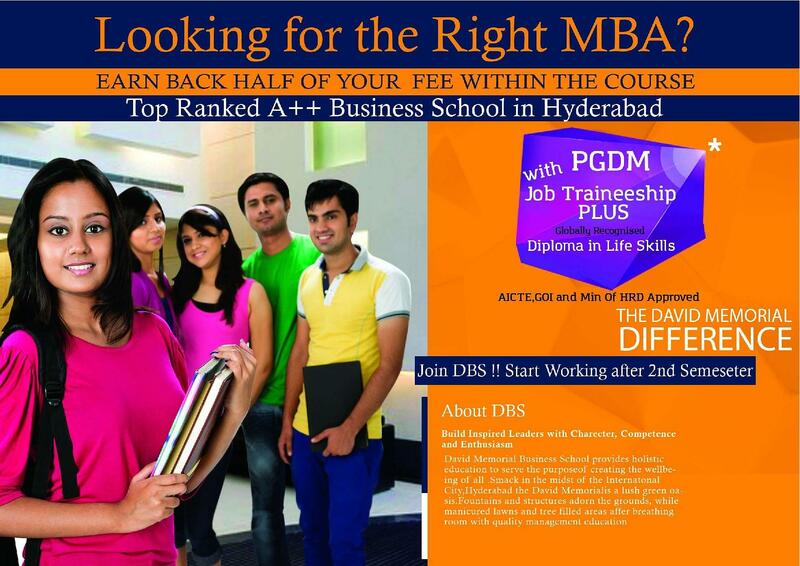 GRADUATE TRAINEESHIP PROGRAMME GTP: GTP is one of the unique features that only DMBS gives you. 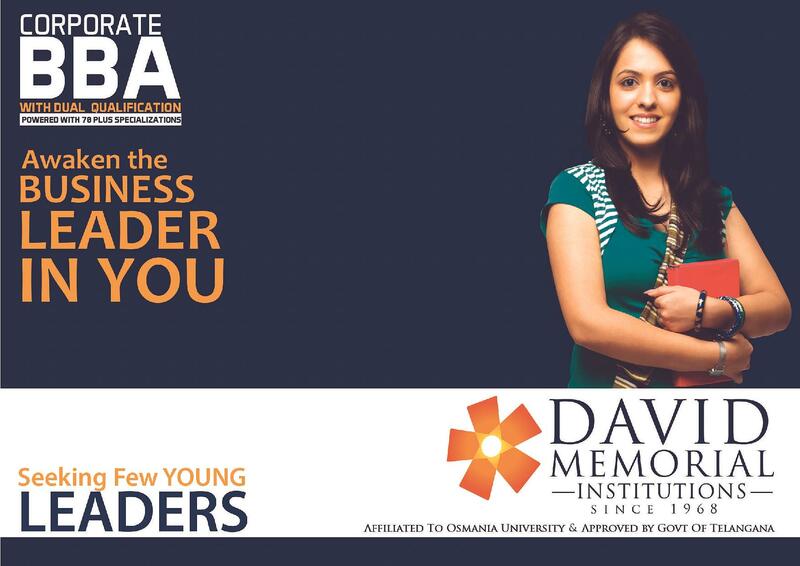 In this program, a student can start working for the second year in Top Companies. 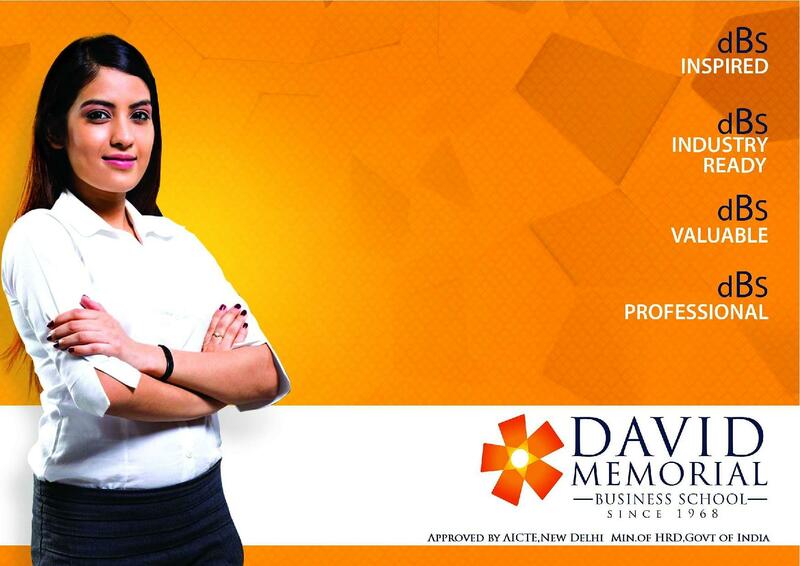 Students can get 6-12 months of Work Experience and also earn a decent Stipend from the Organization during GTP. The student is given an option for Traineeship as early as the Third semester, however, the student can choose to be full time on campus to continue Academic and BSS sessions and then apply for Summer Internships and final placement in Second year Second semester. They offer placement support to the students by guiding them in their career planning to secure responsible positions in the industry. 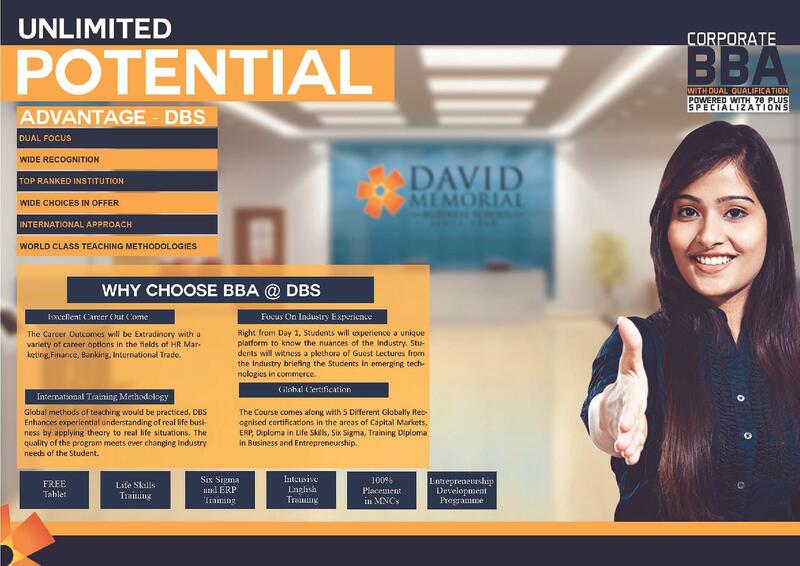 David Memorial Business School emphases on our core values that are 5 pillars of “Inspired Leadership”. A) ‘Awareness’ – comes from the practice of “mindfulness”. This is about learning to be fully present in whatever we are doing, feeling or thinking. By not having any regrets about the past or anxiety about the future, we bring back the child-like curiosity to learn and be happy regardless of the state of the environment. This is taught through a regular practice of Yoga and meditation. B) ‘Balance’ – comes from appreciating the true spirit of “Sustainability”. Our campus building is designed to be in balance with Mother Nature- natural light in all rooms, rainwater harvesting, energy saving equipment etc. In addition, we teach courses on “Whole systems thinking” to make the students aware of this dimension. C) ‘Compassion’ – is about not only getting out of our own shoes to step into others’ shoes to feel their state of mind but also doing something to help those in need. This is done through the year -long “Social Innovation Program” in which student teams work one day in a week, with NGO’s to make a difference to society. We also partner the Chinmaya Organization for Rural Development and donate 10% of our profits each year to serve the poorest of the poor of India. D) ‘Diversity’ – is about appreciating the uniqueness of each person and learning to leverage that for the sake of collective good. We use “Caliper”, a world renowned tool to appreciate the psychometric profile of every student and staff member and enable teams to use this knowledge to give off their best. 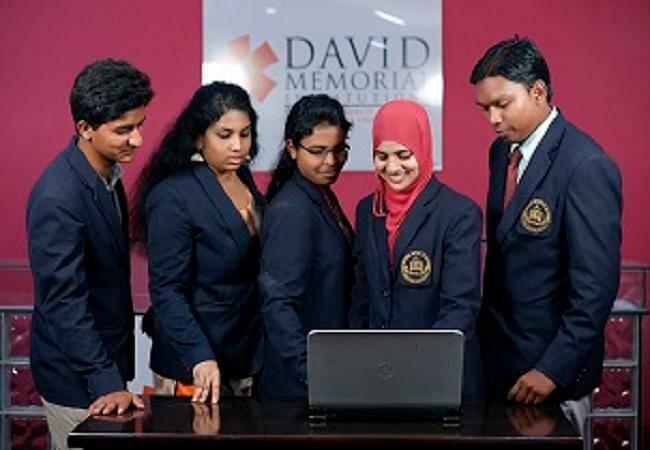 Consistent demonstration of excellent academic record Substantial participation in co-curricular activities such as Debate, Quizzing, Literary Events, Advertising, etc. I didn't took any entrance test i just applied in this college and gave personal interview. "Experienced so many new things." I took common entrance test and give personal interview round and got selected on the bases of personal interview result. I appeared XAT entrance test and scored very well. 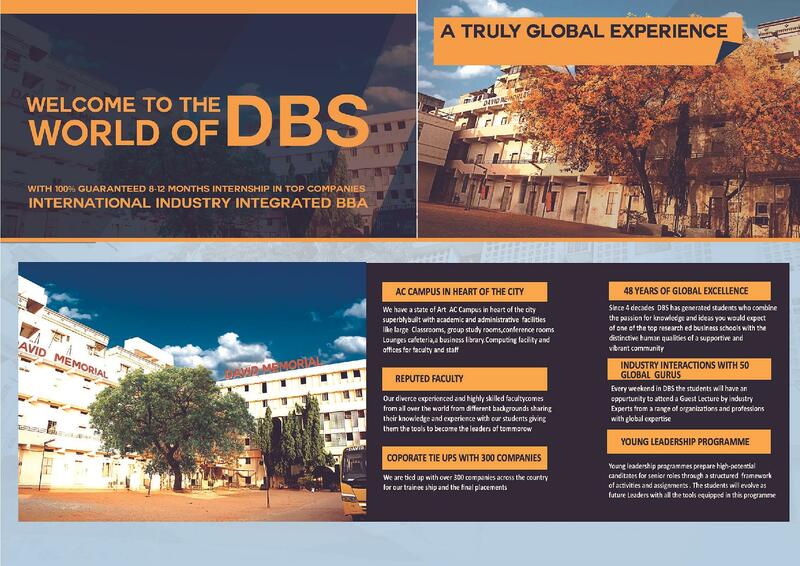 Admission process was so easy after giving entrance test i applied for this college and a got a call from the side of college.